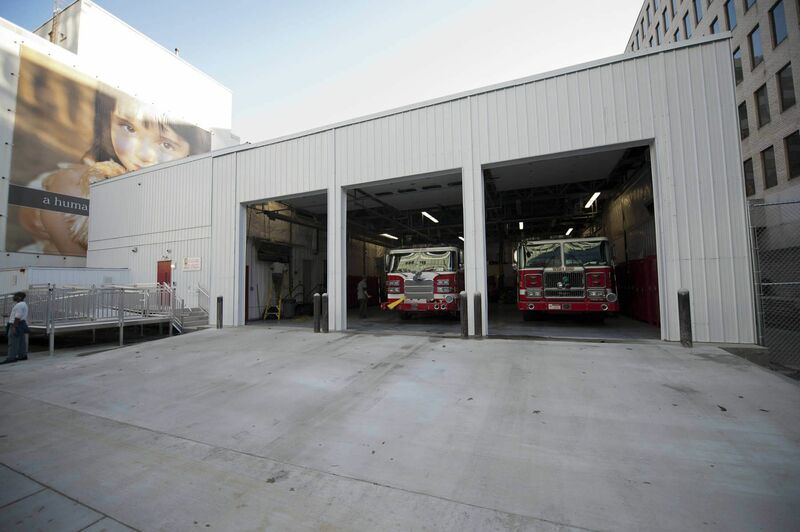 Part of a multi-million dollar development project throughout Washington DC, modular construction was chosen to build a two-story 7,300 sq ft temporary fire house, taking advantage of the fast modular concurrent construction process that enabled a rapid completion date. 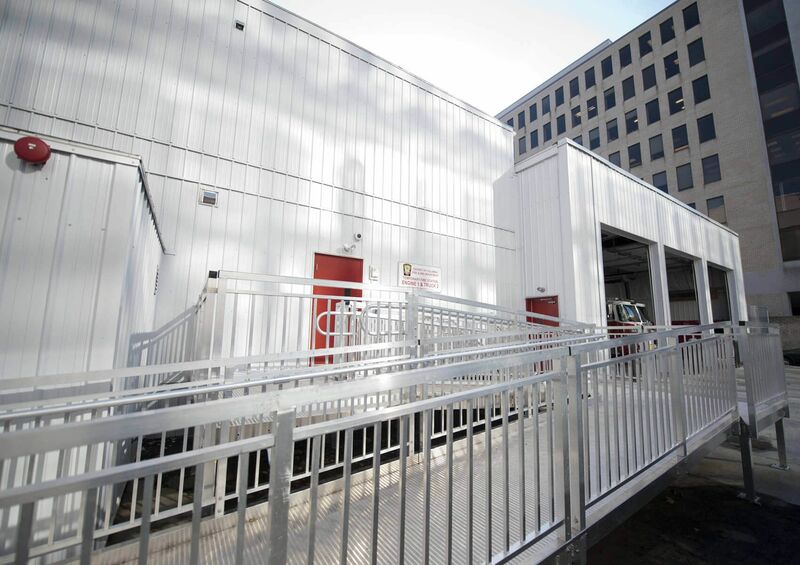 The design needed to be 100% relocatable in order to be relocated to another project after five years. 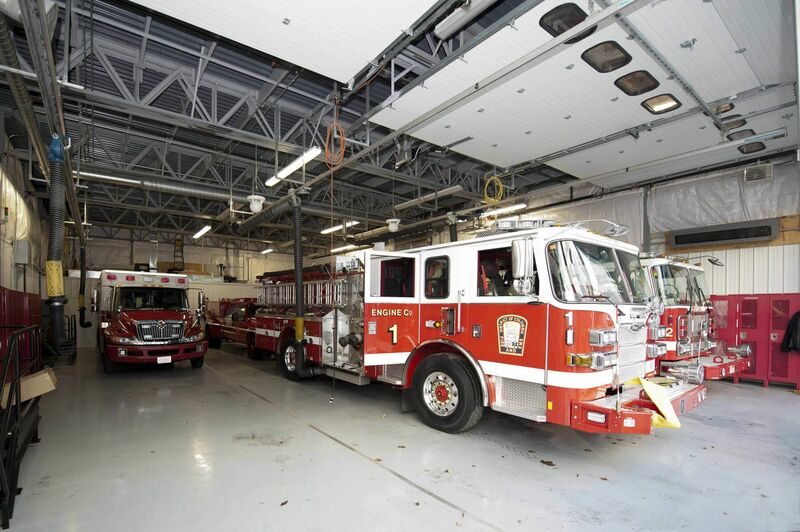 Marginal site disturbance and minimal material lay-down was required, with very little space available working on a very tight site. 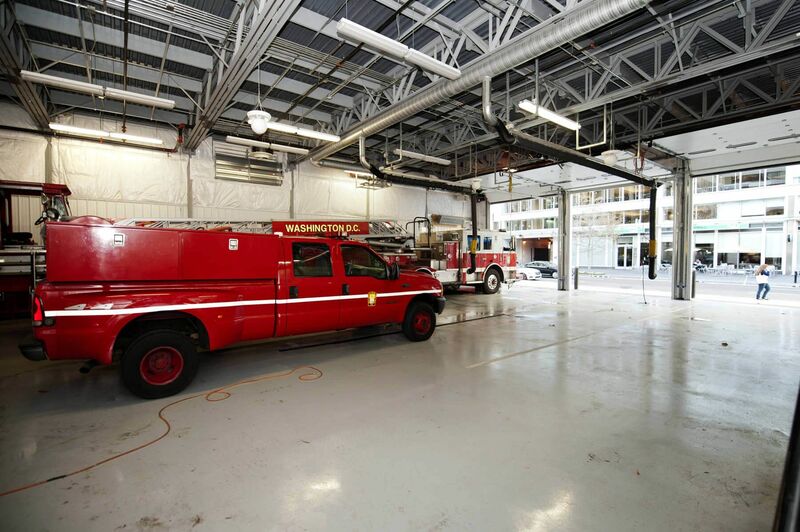 The temporary fire house located in Washington, DC, includes many work areas. 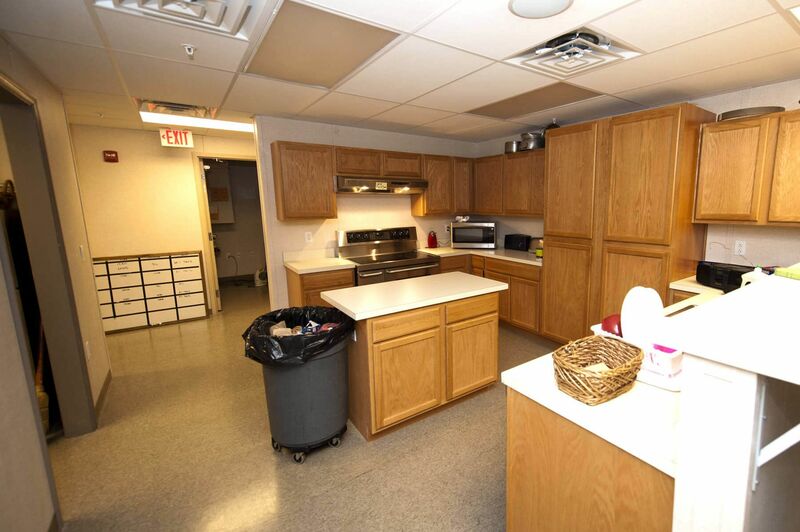 The kitchen is equipped with built in cabinets, appliances, double sinks, and coffee station; Officer Bunks provide a quiet retreat. 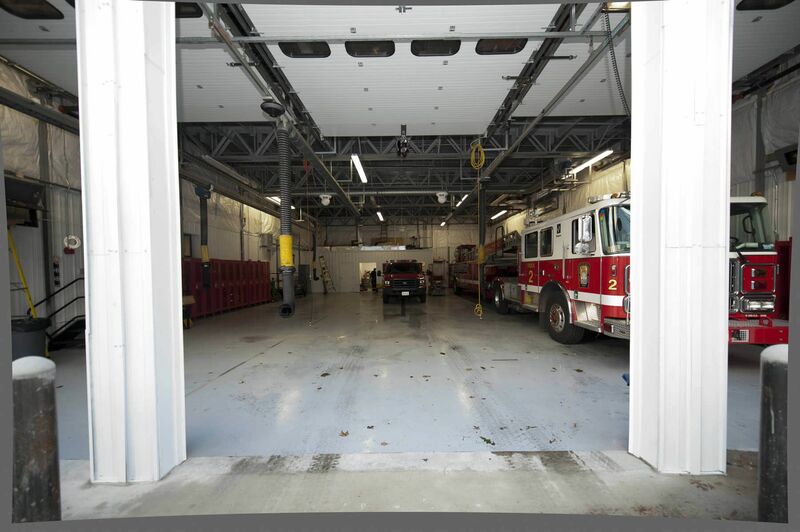 A fire pole was removed and reinstalled from an existing engine company, cut to fit, and reinstalled at the new facility. 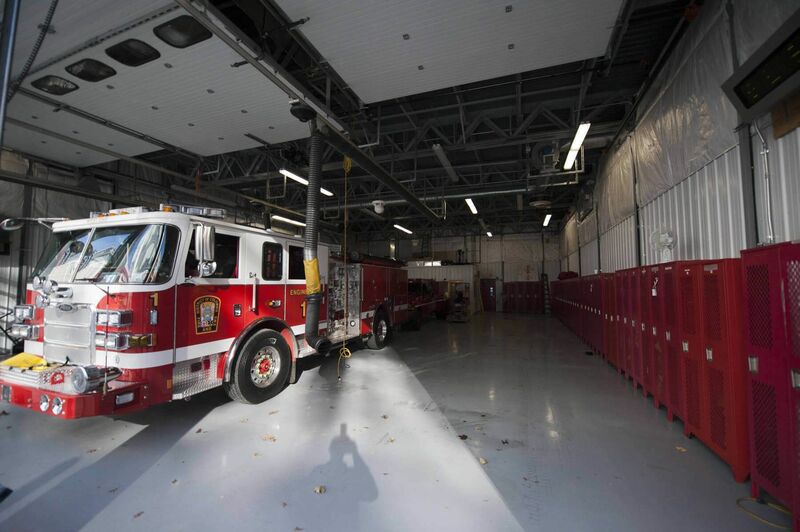 30 gear lockers were also relocated to the new temporary station. 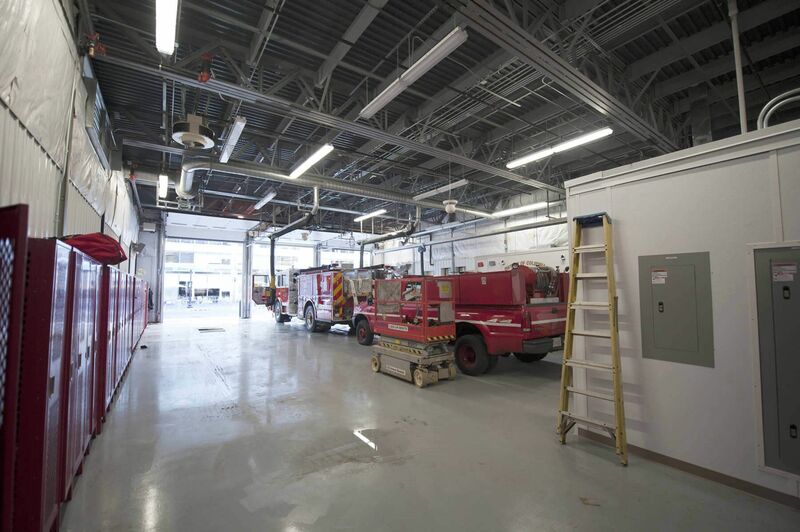 The apparatus bay includes medical storage, fitness room, and decontamination room with a shower base and eyewash station. 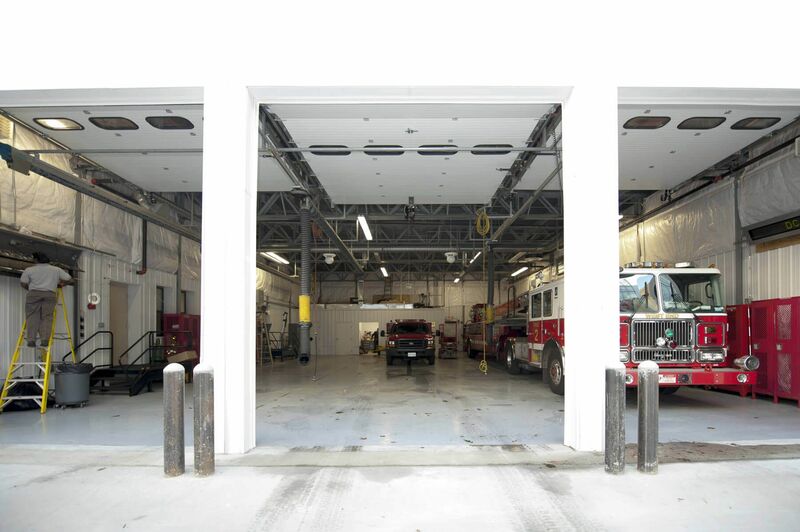 Roll up doors allows room for 3 engines. 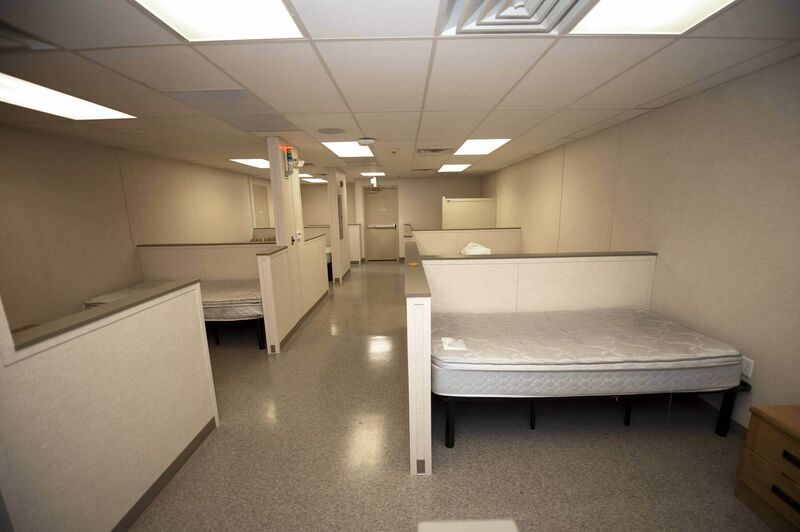 Located on the second floor of the bunk house are men and women’s locker rooms with showers, multiple bunks, and restrooms. 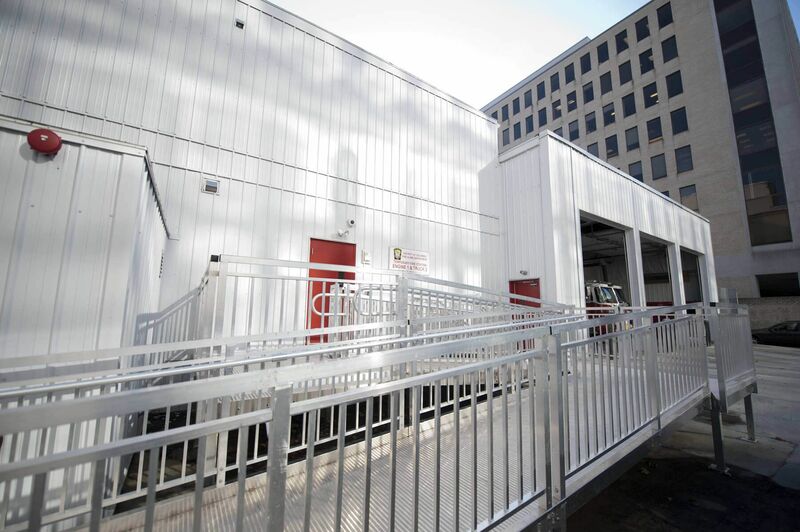 Traditional Modular Construction, combined with Up-Grade Modular Construction, enabled us to build this building on a compact site with minimal interference to traffic or surrounding businesses.